If you are a fleet manager, it means you are persistently in search of great ideas to cut down the operational costs of your vehicle and boost the efficiency of your crew. When it comes to the body specs, proper management of trucks with “box truck” bodies is a crucial area to uncover potential increase in productivity and cost savings. Consider this for a moment; could it be possible for a 2-foot longer box truck to make a difference when making deliveries in fewer trips? Will it lower transportation costs while ensuring that you gain revenue daily? What if as a fleet manager you spec’d the height of the box lower (in relation to the top of the cab) in order to reduce the wind drag? Will this make a difference in the savings of fuel economy? Alternatively, consider the cargo access; will adding a door on the side make any difference in the savings? Maybe five to ten minutes for just one stop giving your crew the chance to get more jobs done in less time. As a fleet manager, how should you really spec your box trucks in order to realize crew productivity and maximum cost savings? We have some points you should consider. You should begin by working on a clear picture on exactly how and what you intend to use the truck for. Before you begin the process of formulating body specs for your box truck, ask yourself these important questions. What do you intend to haul in the box truck? Consider the maximum load and then draw out a list of the things the truck will hold. Estimate the cargo weight and space it will take up by listing down the weight of each item you intend to load. If you intend to use the truck to carry heavy equipment such as a pallet jack, riding mower or a forklift, you should consult the manufacturer for further details on the weights for shipping for that particular equipment. How will you load the items on and offthe box truck? Will you load the cargo by hand or use a forklift? 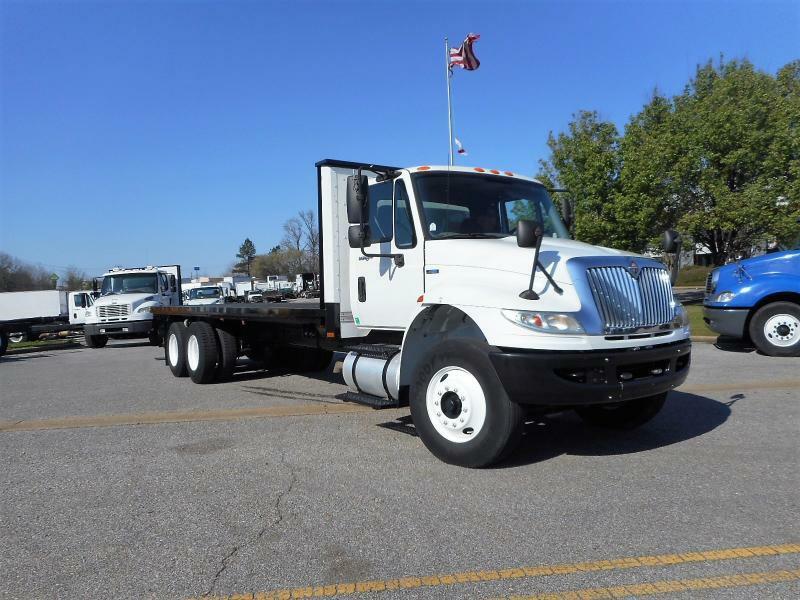 Based right on the objectives of the truck, what width, body length, and height will your cargo require.Typically, the lengths range from a nine-foot single rear wheel chassis to about 28 foot, which requires Class 6 or bigger chassis. Concerning the height of the box, will it be okay to drive the truck into garages (for parking) or other areas where the clearance may not be an issue? In addition, the higher the boxes above the cab, the better the wind drag, hence affecting the fuel economy. In this case, you could choose lower box heights or consider adding an aerodynamic wind faring, in order to reduce the drag. If you wish to increase the interior space, but do not want to make the truck longer, an option you can consider is adding an attic, which may well extend the box over the cab for some more space. Another area to consider is how well you want the body of the truck to sit on the chassis. Most delivery options will require that the body sits lower to allow easy access to the cargo space. However, such arrangements also account for the wheel wells within the body, which detracts from the flat area of storage. In order to remove wheel wells to maximize the area of the cargo, you can spec the body to mount it on the truck wheels. At Moffett Trucks, we can help you with all your spec’ing needs. For further inquiries, please contact us today.